The origins of Ardbeg (which in Gaelic means small headland) Distillery date as far back as 1794. 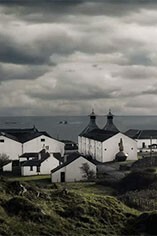 John MacDougall established the present distillery on the south coast of Islay in 1815 and it was fully operational by 1817. The MacDougall family retained ownership until 1977 when Hiram Walker gained control. 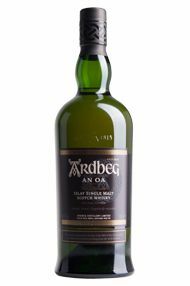 However, with the majority of its output used in blending, Ardbeg struggled to remain viable during the economic downturn of the 1970s, resulting in it being run on a care and maintenance basis from 1983. 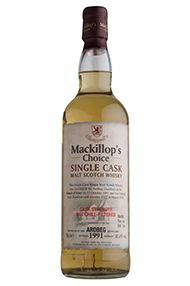 The distillery closed in July 1996 only to reopen in 1997. Ardbeg maintains the robust and earthy aromas associated with Islay malts. Described as having a hefty bite and a rich finish, flavours detected include peat-smoke, seaweed, sawdust and iodine. Glenmorangie Plc bought the distillery in 1997. The new owners revived the tradition of producing a very peaty single malt. All the production is sold as single malt (which is rather unusual in the world of whisky). 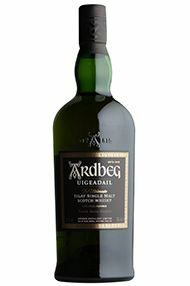 Ardbeg whisky is not used in blends, with may be one exception: Black Bottle which claims to contain whisky of each of the active distilleries on Islay.